Weekly classes for boys & girls 4-12.​ Teaches basketball skills in a fun new way. 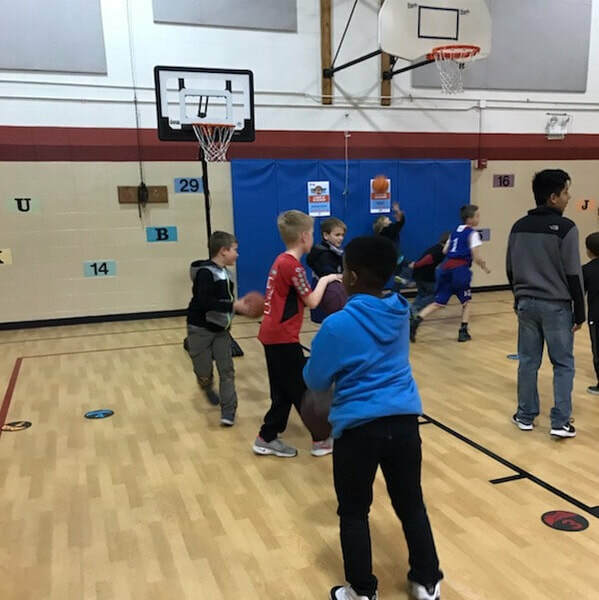 Hoop Kid's Basketball School program enables students aged 4-12 to run, jump, dribble, pass, shoot, and play as part of a team while participating in games and drills to help them develop motor skills, build self-confidence and experience the fun and joy of basketball. 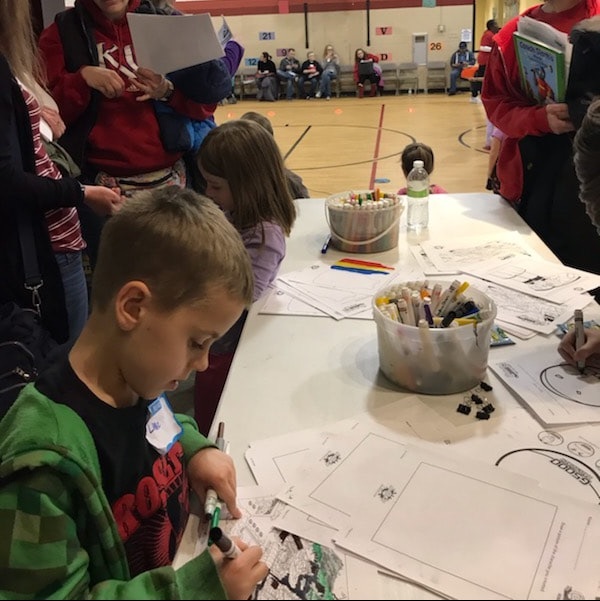 In addition to learning the game of basketball, kids will also receive many reading, writing, and art activities to complete at home. 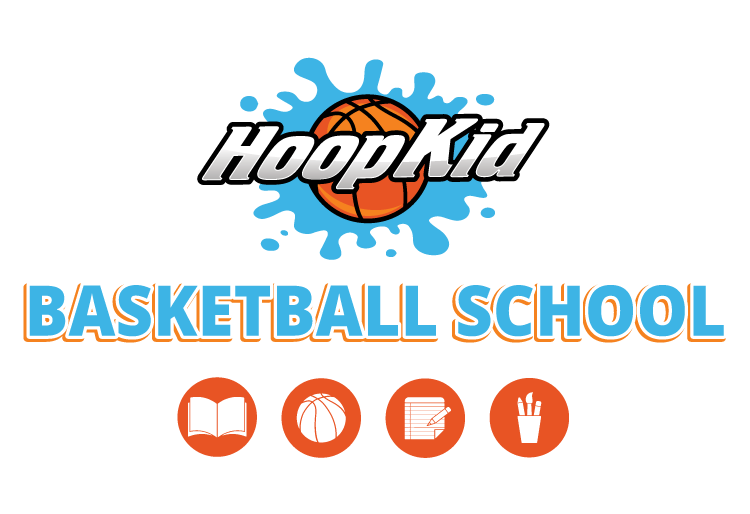 The Hoop Kid Basketball School program was created and developed by children's author, graphic designer and certified USA basketball instructor, Teko Bernard. The program was designed to help develop more well-rounded kids by encouraging them to discover the fun, joy and positive effects of reading books, playing basketball, and creating art. Hoop Kid instructors will engage and teach kids the game with energy, enthusiasm, and a focus on fun, positivity and, inclusion. This supportive approach enables kids to find and express their courage and build up their competence, self-esteem, and confidence. 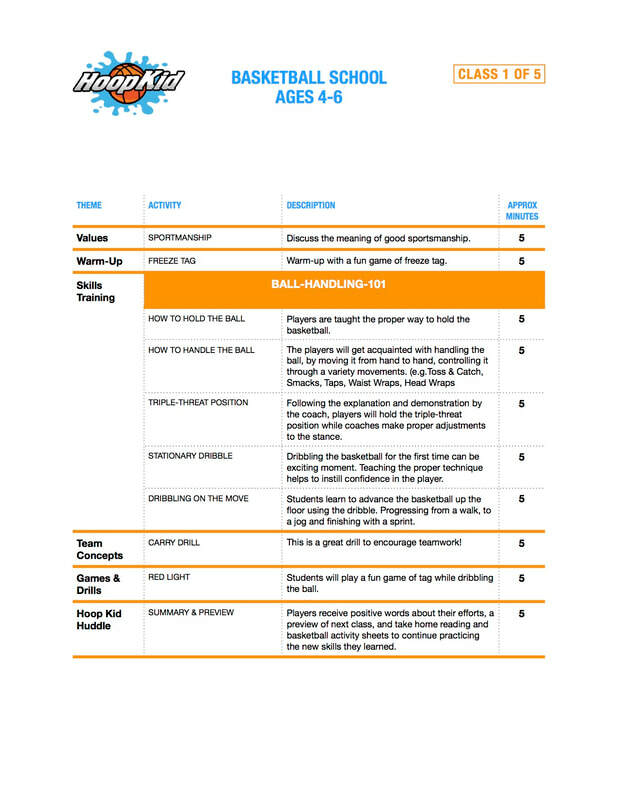 Hoop Kid's curriculum includes a unique synthesis of universally shared basketball values and teaching techniques trusted and accepted by USA Basketball and Jr. NBA youth development programs. 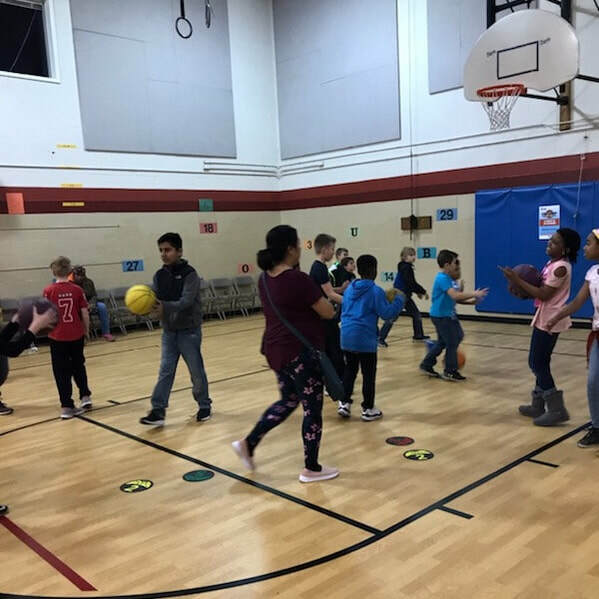 Hoop Kid's classes are thoughtfully structured, so that the skills being taught will build on one another and allow for a more intuitive learning experience. Students playing at a Hoop Kid Basketball Book Party. Students doing Hoop Kid art activities. 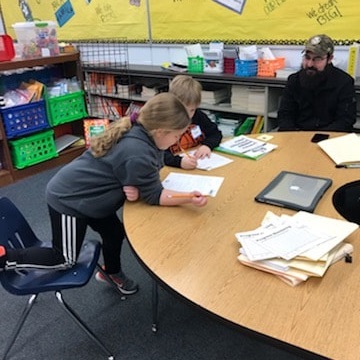 Students doing Hoop Kid reading & writing activities. For an additional cost of $35 our Hoop Kid Welcome Kit can be added to your order, which includes one Hoop Kid T-shirt, book, string backpack, and silicone bracelet. The cost of postage and packaging is included and will be sent via USPS.